Davis-Standard (Pawcatuck, CT) is showing a newly developed mid-range controller called the DS-eVUE at NPE2012 (Orlando, FL; April 1-5). 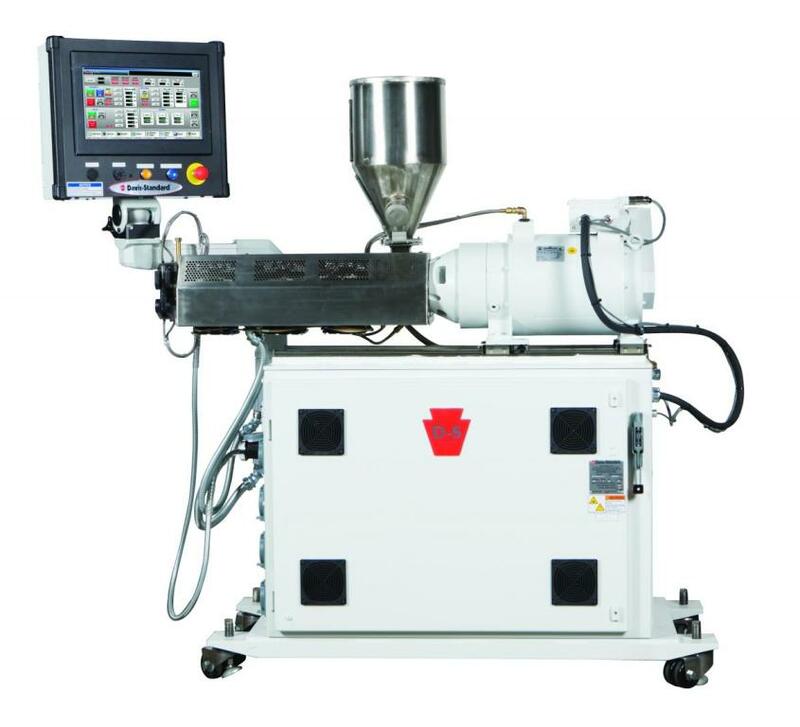 The new controller is available on Davis-Standard’s new direct drive medical (MEDD) extruder, which will also be shown at NPE2012. This compact extruder has a direct drive motor to improve energy efficiency. Advantages include linear movement, a replaceable feed section liner, and a Windows 7 PLC control system. The MEDD has interchangeable 1-inch (25mm) 24:1 L/D to ¾-inch (19mm) 24:1 L/D barrel assemblies for material versatility. The new controller replaces the MESA III and its HMI systems. It may also be used by customers who had the Harrel Tubetrol controller. Davis-Standard said it will continue to service older controllers subject to availability, but the DS-eVUE will now be the standard mid-range option. The DS-eVUE uses the Microsoft Windows operating system with an anti-virus program, zip program and PLC interface program as needed, and SCADA (supervisory control and data acquisition) software. Davis-Standard offers customized applications program for controlling and monitoring the extrusion process. In another improvement, Davis-Standard said that the DS-eVUE has an increased data tag count, enabling it to control larger systems than the MESA. Other features include a graphic overview, reports, trending, event log and data collection, a Web interface for two concurrent users, remote diagnostic capabilities, multi-level programmable security and e-mail notifications. NPE2012 will be David-Standard’s first major show under a new ownership group. On Dec. 23, 2011, ONCAP, a mid-market private equity platform based in Toronto, acquired Davis-Standard, LLC from stockholders represented by Hamilton Robinson, LLC, including Davis-Standard management shareholders. ONCAP is part of Onex, which manages approximately $14 billion, of which $9 billion is third-party capital.